Whether you run a business on or offline, your email list is likely one of your most treasured assets. It’s very reassuring to know that when you send out that mailshot advertising a new product, or a sale, you’ll hit existing customers who are pretty likely to buy. Unfortunately, mailing list sizes can fall just as quick as they rise, so you can’t afford to rest on your laurels. People come and go, thus causing your email list shrink over time. . Consider your company mailing list one of your best assets! If you want to keep your business growing, you need to be proactive in making sure that your email list is always on its way up, not down. Believe it or not, adding subscribers to your list is actually quite simple. With a few simple tweaks to your current marketing plan, you could be adding hordes of quality leads to your email list on a regular basis. If you put in the effort, the results will follow. If you want your email list to explode in growth, you need to really get yourself out there. Translation: You should have a strong call to action on every single piece of content you have available, both on and offline. It goes without saying that you should have subscription points across your website, but you can go beyond that. You don’t even have to be thinking about just online opportunities. Company literature / brochures offer a great opportunity to attract new leads. For example, say you published a Kindle book over at Amazon. The smartest thing you can do here is to have a call to action within your book that encourages your reader to join your list. It’s quick, simple, and can lead to more quality leads without much effort. Another great example of spreading out your communication would be articles you’ve written that are published across multiple blogs. All you have to do is weave in a call to action within your content along with a link back to your website (or landing page). Just like that, you can have leads rolling in from multiple points online. No matter what you do, always make sure to place a call to action for your email list with every piece of content you place on or offline. The more you spread yourself out, the easier it will be to attract subscribers. 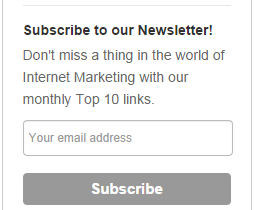 Sometimes, people need a little push to subscribe to your email list. They have to see value in what you’re providing, and it’s your job to show them how much of that value they will receive if they hand over their email address. If you want to help make their decision easy, you need to give them an incentive. What type of incentive should you offer? Honestly, it could be anything. Coupons, eBooks, physical products, free trials and other information or items can be given in exchange for a prospect’s email address. The more exclusive you make it, the more people will be attracted to it. Whatever you do give away, make sure that it is actually worth something. No one wants a low-quality freebie item that has nothing to offer. Give them something so good that it makes them feel like they practically stole it from you! When you do that, you’ll hopefully keep these subscribers for the long haul. You can’t expect to grow your email list (and your business) if you’re not hanging out where your target market is. You need to find the places where your people congregate and talk about anything related to your niche. When you do this, you not only increase your visibility, but you will also establish credibility and authority. Join them and participate. Be helpful and answer questions, as it will help you earn trust from your peers. Once that trust is established, you can slowly start to weave information about your business, thus boosting your brand awareness and eventually leading to more email subscribers. And remember rule number 1, never SPAM! The method might seem old, but it still works! Get to know the top players in your market, the key influencers, and form an alliance. Again, it’s all about earning trust. Once you do that, you’ll be in a prime position to gain some top quality subscribers! Every industry has its thought-leaders and it’s easy to find industry influencers on social media, especially Twitter. There are great tools available, such as Followerwonk, that make it breeze to seek out the key players for your particular niche. Oh, and let’s go over that rule again…. never SPAM! Sadly, there are too many fakes and phonies out there. People have a hard time trusting anyone these days, let alone some random person on the Internet. If your only goal is to make a quick buck by any means necessary, you’re going to have a bad time. If you want to grow your email list and keep that growth consistent, you need to be honest and upfront about everything. When you do, people will feel much more comfortable signing up for your list. The more down-to-earth and personable you are, the easier it will be to win people over. It really is that easy, yet it’s a concept that many people often forget. It sounds like it would be a no-brainer, but you would be shocked at the amount of people that make it difficult for interested prospects to sign up to their list. The last thing you want to do is make them jump through obstacles. If you’re doing that now, you shouldn’t be surprised by the complete lack of interest and your low number of current subscribers. If you want people to join your list, you need to make it drop-dead simple. For the best results, you should have no more than two fields for users to enter (name and email address). Following this protocol is the best way to ease frustration and ensure people get added to your list quickly and efficiently as possible. Tools such as Mailing Manager and Mailchimp make it simple to build a sign-up form for your website. This form can be integrated into multiple touch-points across your website, such as in your blog sidebar, at the end of blog posts, and within pop-up lightboxes (yes, some pop-ups are still effective!). So you have promoted your mailing list at every sensible opportunity and you are starting to see some return on your efforts. Now it’s time to analyse. After all, how can you improve further if your don’t know where new sign-ups are coming from? Is your pop-up sign-up form performing brilliantly? 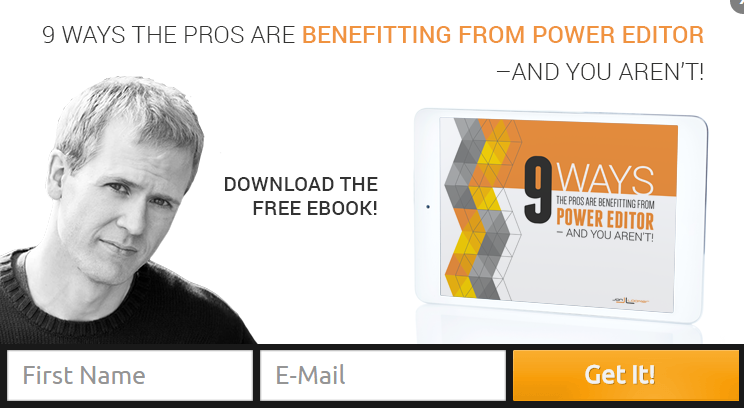 Or is it actually scaring potential customers away from your website? Take action based on your results. Remove the sources that customers are viewing as a nuisance or just aren’t seeing, and try to further harness your successful ones. Do you have a mailing list? Have you found any ways to quickly boost your numbers? Or have you found it hard to grow your list as you wanted. Let us know in the comments. I'm James and I'm the Senior Content Specialist at LCN.com. I have a keen interest in web development and technical SEO, and also account for over half of the Red Bull drunk in the office.